Watch this video to learn more or continue reading below. 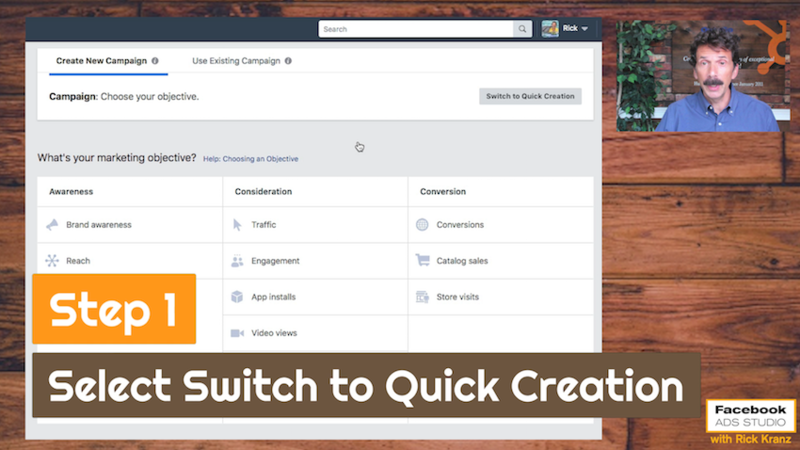 And this is how you do it: Go to your Facebook Ads Manager where you create a new campaign It's only available in the quick creation tool, so Step 1 is to select “Switch to Quick Creation”. In quick creation, create the Campaign. 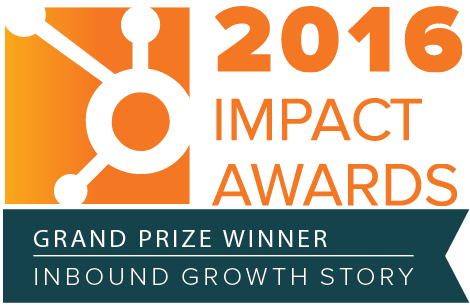 Currently, it works for Traffic campaigns, Conversion campaigns and Video campaigns. 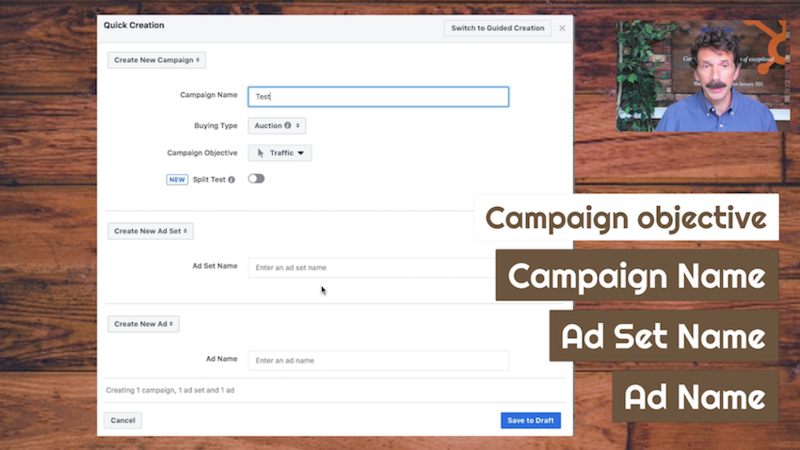 Then proceed to enter the other details of the campaign: Campaign Name, Ad Set Name, and Ad Name. And make sure to click on “Save to Draft”. 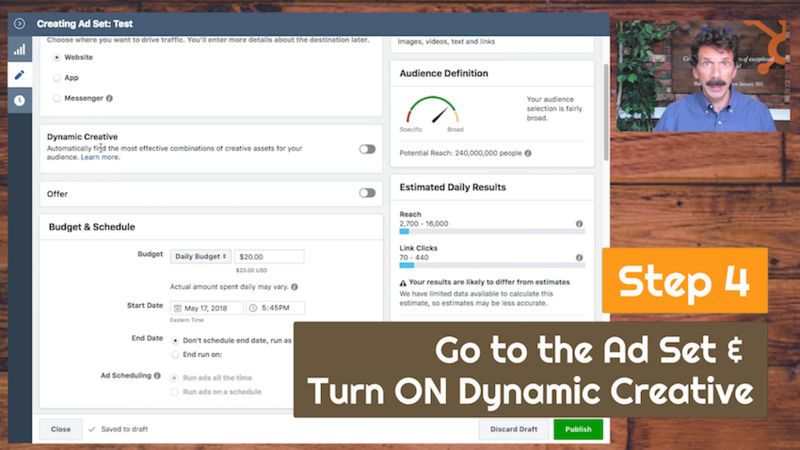 Now, go to the Ad Set and Turn On Dynamic Creative and click Continue when the window pops up. 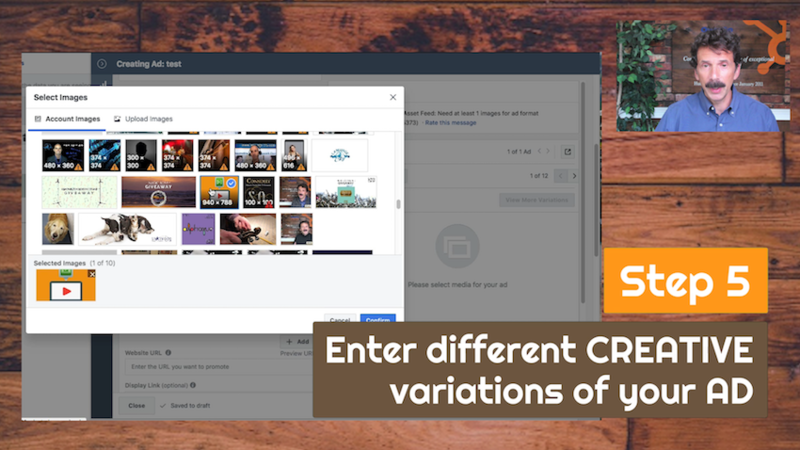 Enter different versions of the ad text or copy. 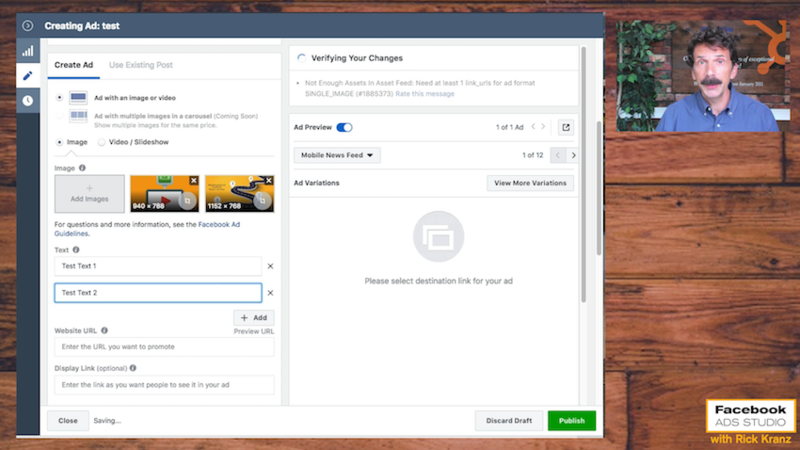 You can add up to 5 variations per ad. And don’t forget the section where you need to fill in the URL. You can also enter multiple versions of Headline and News Feed Link Description. On the right side of your screen, you can find the Ad Preview which will show your Ad Variations. 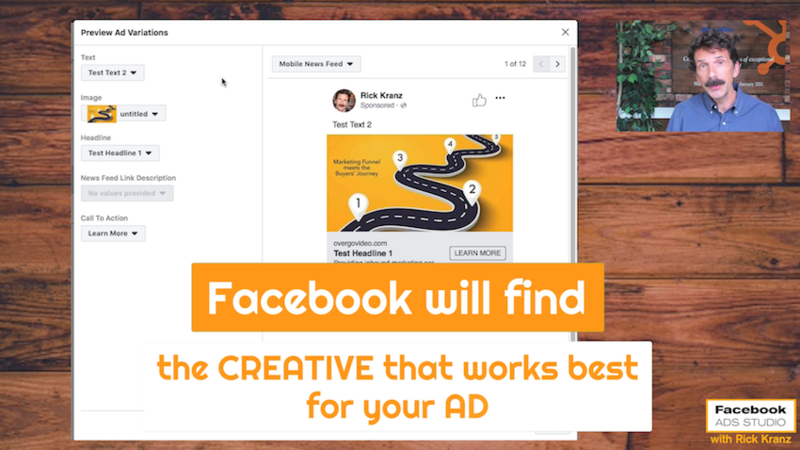 Facebook will cycle through all the creative variations you created as it serves your ad campaign. And it automatically finds the one that works best for you. We we haven't tried this yet at OverGo Studio but as soon as we get some feedback on this, we'll report on it, including how it works on the Analytics side. 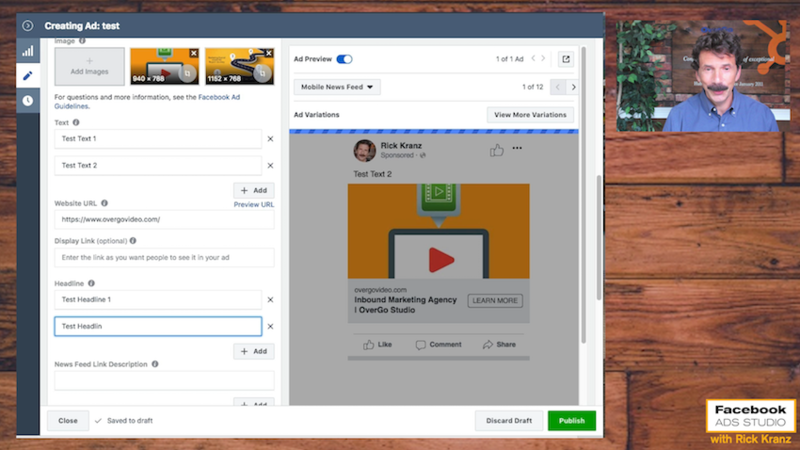 You may also be interested in this post on Using Captions for Facebook Video Ads.